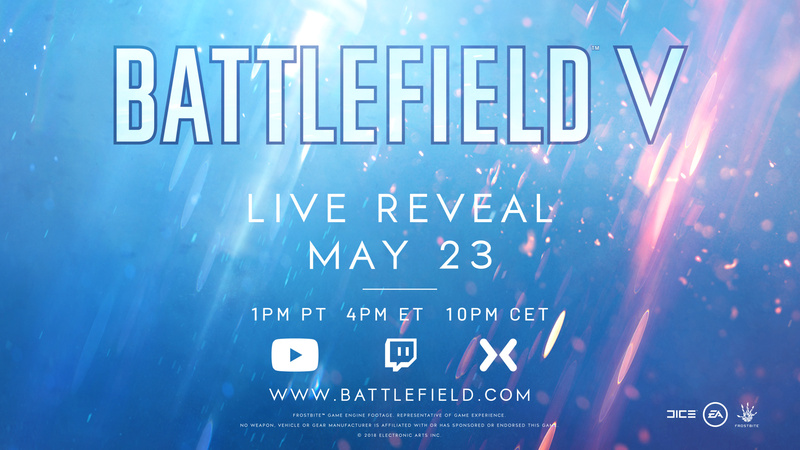 On May 23, join comedian Trevor Noah and members of the DICE team as they present the Battlefield™ V Live Reveal. As the live stream draws near, we’ve compiled the top ten things to look forward to. It’s a brand-new experience and still everything you love about Battlefield – where every fight is different and brought to life across unexpected theatres of war. Discover the new challenges that will change war forever. Battlefield 1 gave players the definitive World War 1 experience that brought the dawn of all-out war to life. But the next Battlefield happens on another frontline. The live reveal will give players the first look at DICE’s immersive portrayal of the new setting. Come for Trevor Noah, stay for the developers. Hear from DICE team members Oskar Gabrielson, the head of DICE Stockholm, Andreas Morell, senior producer, Lars Gustavsson, creative director, and Daniel Berlin, design director, as they fill you in on their Battlefield V vision. You can of course expect large-scale multiplayer in the next Battlefield – but Battlefield V takes it to the next level. Prepare for multiplayer that spans multiple maps and modes, meaning you’ll experience more varied and exciting Battlefield moments. Battlefield has always been about high-fidelity immersion, and Battlefield V isn’t any different. Tune in, and you’ll be among the first to hear and see the stunning environments that you’ll soon be playing within. A player-favorite from Battlefield 1, Operations have given you the chance to take epic journeys across several maps. Will this teamplay-focused experience be in the next Battlefield? You’ll know if you watch the live reveal! While we don’t want to scoop our own reveal, you can bet your favorite Battlefield 1 weapon that exciting gameplay changes are coming. Because of this, we suggest not even blinking during the Battlefield V Live Reveal. The comedian and host of the The Daily Show is not only a gamer, but a defender of video gaming. Funny, smart, and loves video games? We couldn’t think of a better person to host our live reveal then this South African legend. DICE believes in both all-out multiplayer and single player, and the live reveal will have more info on the returning fan-favorite War Stories. Prepare for untold, compelling narratives in a new setting. The recent Battlefield Easter Egg chase has turned much of the community into sleepless sleuths. Is your whiteboard covered in Morse code? Is your search history full of white horses? How close were you to the truth of Battlefield V? It’s time to find out. Is that reveal 6AM 24th Sydney? Kool it will be dissected for me nice and early. No more $80 Premium Pass (all maps are free), no Pay-To-Win microtransactions. lol it's like they read Spaz's mind! The premium pass would have all but been dead anyway. The last map pack on BF1 had zero players on the last map release. While WW2 isn't really my thing this looks so much better than COD's BO4 and current WW2 rubbish. Spaz is back on the BF train! Good wrap up of the changes. I just hope the gun and bullet dumbing down doesn't go too much like COD. The realism in BF is what makes it good! Delayed until Nov 20. 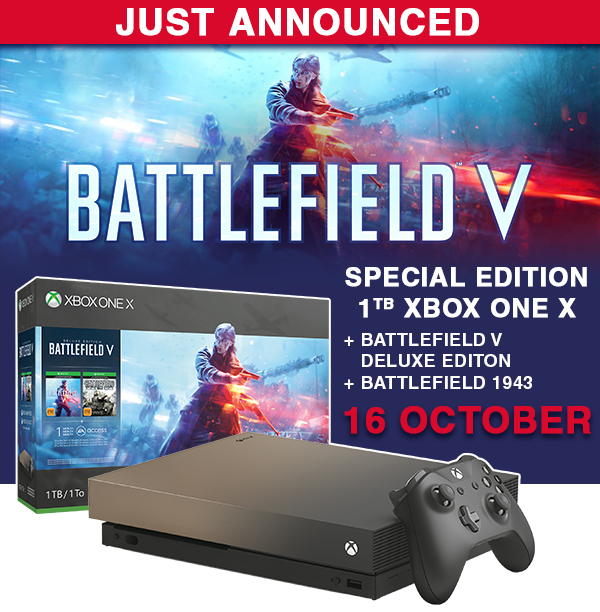 Bad pre-order numbers for sure!